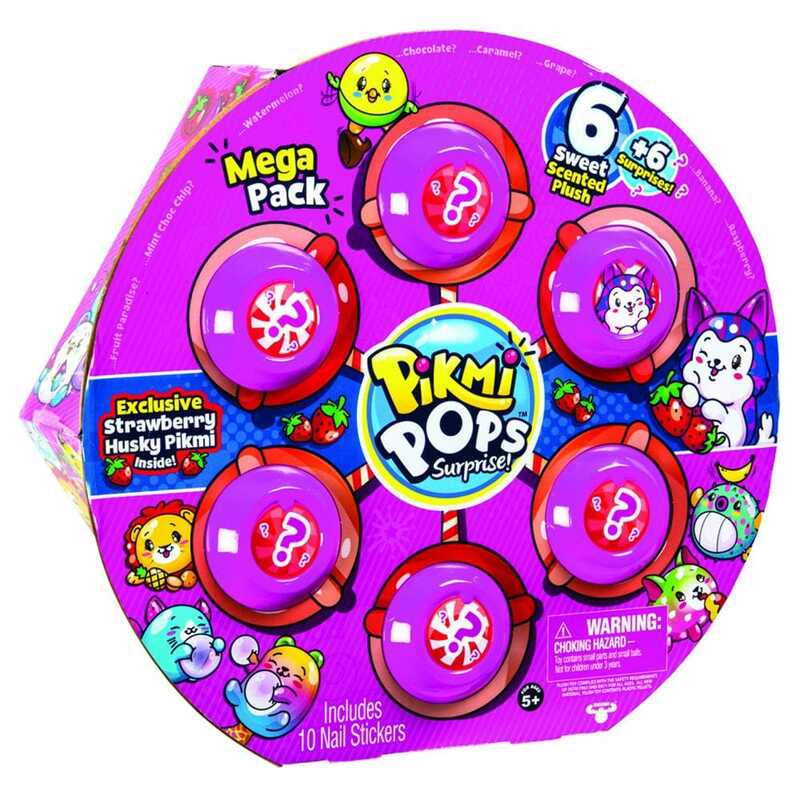 Discover fantastic surprises in the Pikmi Pops Mega Pack! Filled with mini plushies and all the cool surprises. Pikmi Pops are the lollipops filled with cute plushies and so many sweet surprises for you! Introducing Pikmi Pops Mega Pack! with 6 mysterious Pikmis are hiding inside and including 1 exclusive Husky Pikmi. Contents: 6 x surprise scented plushie, 6 x dangle strings, 6 x surprise items, 6 x surprise messages and collectors guide.